Raj Etternia by SNN Builders is a soon-to-be-launched luxury residential project in the eastern expanse of Bangalore. Stationed at an apt location, the realty space will be offering beautifully planned 1, 2, 3 and 4, 4.5 BHK flats and penthouses. SNN Raj Etternia will match the needs of modern day home buyers and investors. What is the project location?The project is located at Harlur, Bangalore South. What size of flats are available in SNN Raj Etternia? The apartment sizes in the project vary from 560.0 sqft to 3600.0 sqft. How much is area of 1bhk in SNN Raj Etternia? The area of 1BHK units in the project varies from 560.0 sqft to 575.0 sqft.  What is the 2 bedroom size in SNN Raj Etternia? 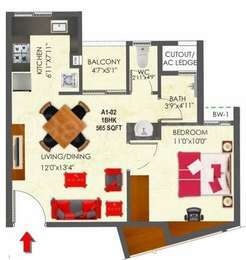 2 BHK units in the project are available in a size of 1225.0 sqft to 1270.0 sqft. 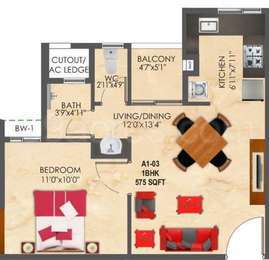 What is total area of 3 bhk in SNN Raj Etternia? 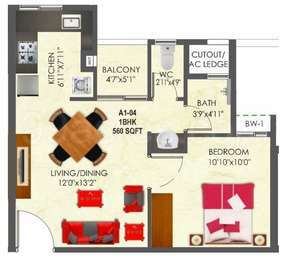 3 BHK units in the project are available in a size of 1460.0 sqft to 1880.0 sqft. What is size of 4 bhk in SNN Raj Etternia? The area of 4 BHK apartments ranges from 2800.0 sqft to 3600.0 sqft. Established in 1994, SNN Builders Pvt. 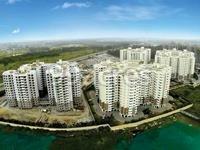 Ltd. Is providing unmatched real estate services in the city of Bangalore. The builder has built and handed over more than 40 projects spanning across over 12 million square feet. Of area. The key competitive advantage of SNN Builder is availability of large resources, high-level management expertise and aims to offer quality housing solutions across all market strata. mid-segment venture award for SNN Raj Serenity. Also, Realty Plus has awarded the group with an Excellence Award, while its CSR program was awarded as the best CSR program. Being a top real estate property developer and builder of Bangalore. With a focus to serve customers need and satisfaction, SNN builder is known to deliver innovative projects to the builders within the prescribed time limit. Few examples of the delivered project by SNN Builders are SNN Raj Viviente, SNN Spiritua. SNN Grandeur, SNN Greenbay, SNN Lakeview, SNN Serenity, SNN Pinnacle, SNN Raj Opal, SNN Paradise, SNN Neeladri, SNN Grandeur and more. How much registration charge and stamp duty I need to pay if I purchase a property in Bangalore? How far SNN Raj Etternia is located from prime areas such as airport? Are cabs easily available in this area? Hi Tarun, stamp duty in Bangalore is 5.6% of the value of the property in urban areas, whereas, in Village Panchayat areas, it is 5.65% of the property cost. Registration charge is standard across all the areas of Bangalore which is 1% of the total or registered property value. The nearest airport around SNN Raj Etternia is Kempegowda International Airport having a distance of approx. 49 km, and is easily approachable via BMTC [Bangalore Municipal Transport Corporation] buses. Private cabs are also available at a decent frequency around this project. So, commuting to nearby places would not be a major issue if you shift to this project. Looking to buy a 2BHK flat but I am confused in between these two projects - SNN Raj Etternia in Parappana Agrahara and Bren Imperia in Harlur. Can anyone guide me which project should I opt? Also, I am looking for end-use. Dear Sumit, currently both the projects are in construction phase; SNN Raj Etternia is expected to be delivered by March 2018 and Bren Imperia will give possession in December 2018. In terms of end-use, I would suggest you to go with Bren Imperia because as compare to SNN Raj Etternia, Bren Imperia is equipped with some amenities. Also, if we look at the capital values of these projects, SNN Raj Etternia has witnessed only 10% growth since launch whereas Bren Imperia capital value graph records 44% appreciation since launch. Also, in coming years both the projects will see a surge in capital values but Bren Imperia is expected to witnesses more hike as compare to SNN Raj Etternia. In comparing the price of both the projects, Bren Imperia is costlier then SNN Raj Etternia. The price range for a 2BHK apartment in SNN Raj Etternia is in between Rs 63.7 lakh to Rs 77 lakh whereas the cost of a 2BHK apartment in Bren Imperia is around Rs 90 lakh.